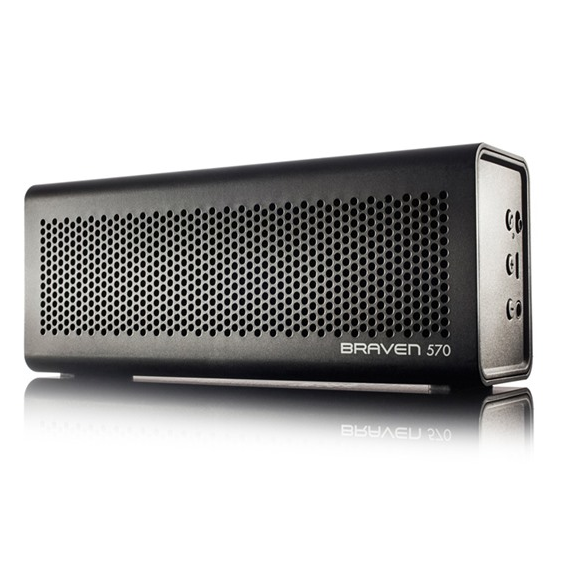 Anyone looking to snag a portable Bluetooth speaker might want to head over to Tech.Woot, as the site is currently selling a refurbished Braven 570 portable Bluetooth speaker for $29.99. Sure, it's a used product, but considering that this device would normally set you back just shy of $100 (even on Amazon), today's deal lets you get the same speaker for one-third of the price. Tech.Woot's offer will only last for thirteen hours or until all of the units are sold, and there's a limit of three per customer. This could be a great way to get some Christmas shopping out of the way on the cheap. We all have that friend who stops the party to show off a YouTube clip on their phone, and with a Braven 570 speaker, people might actually be able to hear it. Naturally, it's good for music too, even if it doesn't have as much bass as other options. Thanks to the included mic, it's a more versatile product than many of its competitors, and while supplies last, it's a cheaper one too.